A lease guarantee bond is a surety bond written to ensure the payment of assessments under a rental agreement. This obligation is often underwritten as miscellaneous commercial surety however it is essentially a financial guarantee. Lease guarantee bonds are often required by landlords that may as part of a rental contract agree to make significant upgrades and enhancements to the property. That capital investment may be partially or wholly financed and the rents under the agreement earmarked for repayment of that financing. A lease bond might also be required as financial assurance when a lessee consents to a very long term agreement and the obligee has concerns about the lessee’s operational continuity. 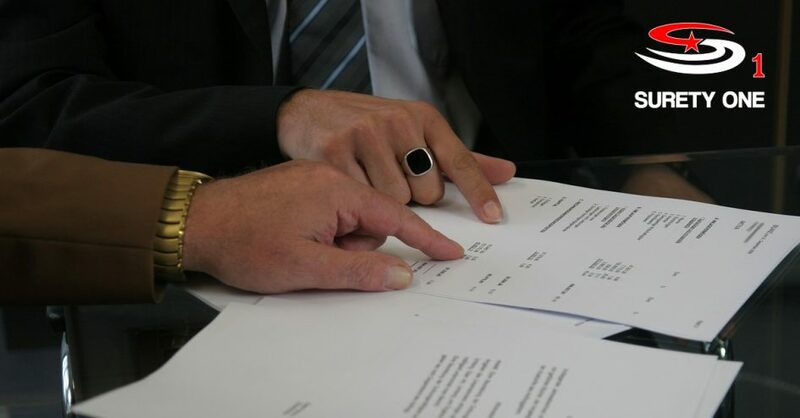 Lease guarantee bonds are uniquely manuscripted for a specific lease agreement however some provisions are common to them all. As one condition of the bond, liability may not accrue to the principal, and therefore to the surety, until the Obligee (landlord) has fulfilled all of its/his/her obligations under the contract. A second common condition is the effective term of the bond. Lease guarantee bonds generally state a start and end date of the guarantee. A cancellation provision may or may not be allowed in this type of “term bond”. Non cancelable obligations are considered more onerous however they can be written so long as there is no objection to term-limiting language. Where a cancelation condition is allowed, an obligee may require the lease bond to include a pr0vision requiring replacement security. A final, and from a surety undewriter’s perspective non negotiable provision, is the inclusion of a fixed bond penalty which prohibits accumulation of liability or the assessment of amounts in excess of the stated bond penalty. Because of the term (length) of lease guarantee surety bonds and the pure financial guarantee language of these obligations, applicant (principal) creditworthiness and financial strength are absolute prerequisites. The surety underwriter must be comfortable that the principal is and/or will continue to be a profitable ongoing concern for the number of years that the bond will be in effect. A complete application, current financial statements of the applicant and a draft of the lease agreement are needed to properly underwrite a request and provide terms for the same. Where the principal does not qualify for the amount of lease guarantee bond requested, collateral is often required by the surety. Surety bond leader, Surety One, Inc., specializes in underwriting all types of financial guarantee instruments. We offer lease guarantee bonds in all fifty states, Puerto Rico and U.S. Virgin Islands. Application submissions are reviewed immediately and can be issued within hours. We are the MOST RESPONSIVE commercial surety underwriter in the surety business. Call (800) 373-2804, or email us at Underwriting@SuretyOne.com for a lease guarantee bond application or for any financial guarantee need.